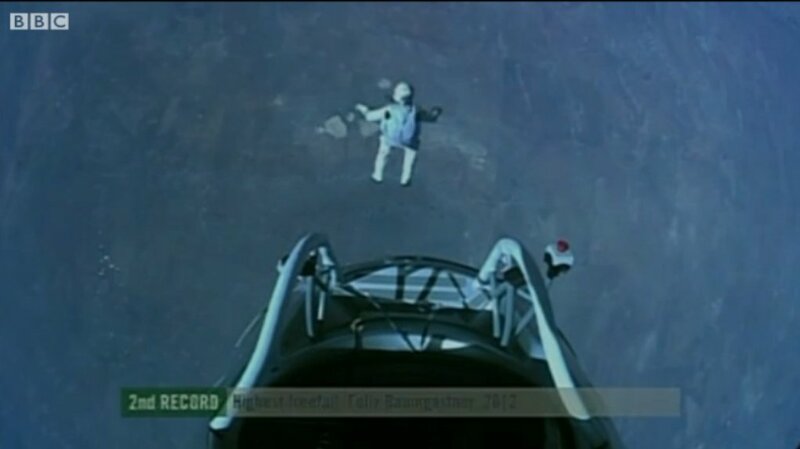 Felix Baumgartner’s Sky High Jump | Worldbuilding Rules! The coolest guy in the world right now is Austrian skydiver Felix Baumgartner, who just set a new record for sky dive altitude – 24+ miles, right at the edge of space – and probably a couple of other records as well, like highest manned balloon flight, and reaching supersonic speed without a vehicle. Imagine falling at over 700 mph! He did this less than 2 hours ago, as I write this post. I was lucky enough to catch the live feed seconds after he jumped from his balloon-borne capsule, and to watch the whole descent. Which was entirely uneventful, and even a little boring, except for knowing where he jumped from. And the long 3 minutes when he was so high that he appeared as just a small white stick figure speeding against the black. No atmosphere to turn the daytime sky blue, nothing above him but space. Now let’s get past the crazy daredevil awesomeness of riding a balloon in a capsule to 24 miles high, then jumping out with nothing on but a space suit and a parachute. Because “crazy” is an uninformed perspective. This jump went off flawlessly, because they did it the way real science is done, with thousands of hours of thought and study and trial and preparation. Felix and his team have been working since 2005 to prepare for this jump, including designing new technologies for the suit and everything else, and executing several practice jumps at altitudes that only one or two others have achieved. The science applications are extensive, including high altitude and high speed physiology, and developing high altitude escape systems, plus other applications for any technologies developed just for this jump. The Red Bull Stratos web site has a ton of information about the whole mission and personnel. I’m sure they’ll be posting much more in the coming days, as they review all the mission data. For a quick summary, BBC has an excellent writeup of the jump, including a link to a highlights video that captures nearly all of it. Watching this, the first thing I thought of was, “Here’s a way to get people safely out of a space vehicle before it crashes or burns up in the atmosphere.” What new science and new human adventures do you think might follow from here? « Which is harder, real world or imaginary world? 1. What happened to the capsule itself after the jump? Did it fall back to earth at its own rate after the jump was over? 2. I didn’t know that planning for this went all the way back to 2005. Can you imagine working on something like that for 7 years? I’m guessing that they got sponsorship of some sort, but I wonder about their other sources of funding. There are bound to be military applications as well, and I’m sure that intelligence communities around the world have taken a keen interest. This touches on so many things. Fascinating story. 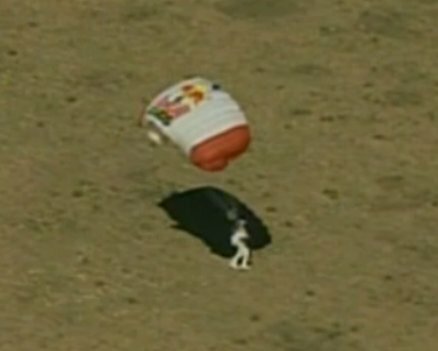 Cristina, on his practice jumps from somewhat lower altitudes, the capsule also parachuted back to earth and was recovered. Military & intelligence applications. Hmmm….jumping from a high altitude balloon would be a very Bond-like way of getting an agent into a high flying target! I imagine there must be much better real-world uses in those arenas. Just knowing that a human body actually can survive Mach 1 under the right conditions and training might start some new special forces programs. Oh, now I can see this trick being used in action movies! All joking aside, I imagine that trying to use this method to infiltrate high, inaccessible places would be difficult. I can’t imagine how you’d aim someone so that they’d land in a particular spot. apparently parachutists can land with a fair amount of precision with the new chutes, because they’re shaped like airfoils, not umbrellas. Obviously, wind conditions would make a difference. 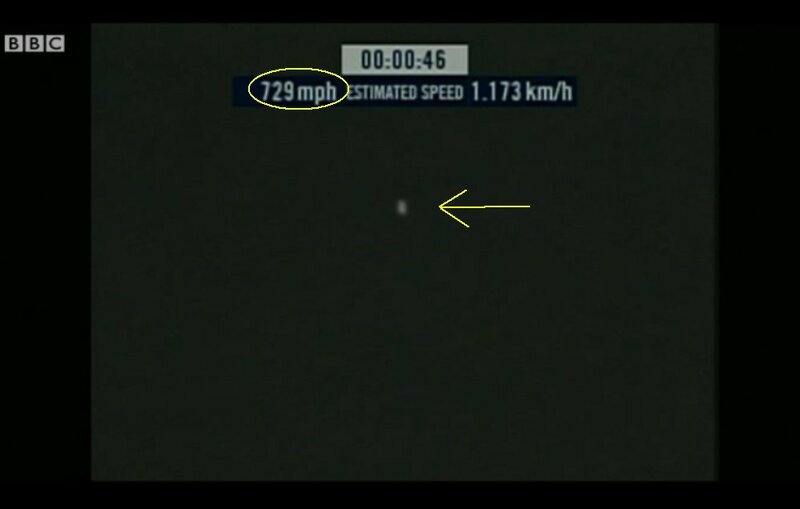 Notice that Baumgartner was in such good control that he landed on his feet, pretty much where he intended to land. New Mexico is a big state, and he hit his flat, safe open landing location from 24 miles up.